My husband has a slight obsession with Frappuccinos at the moment. He's the sort of guy who, while others are ordering flat whites and double shot lattes, is quite happy to ask for a milkshake or frappe. He's truly just a big kid at heart. 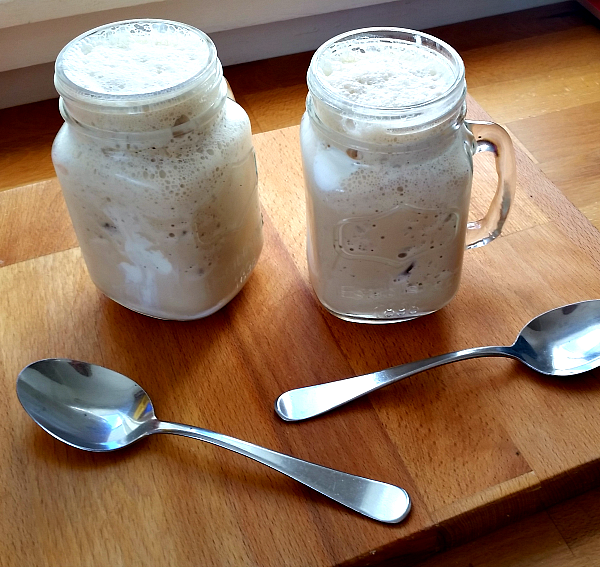 So in honour of my guy, here is my easy homemade Frappe recipe! Serve as is or poured over another scoop of ice cream. Top with whipped cream and chocolate drizzle if you want to really live on the edge! So good - but just for treats!